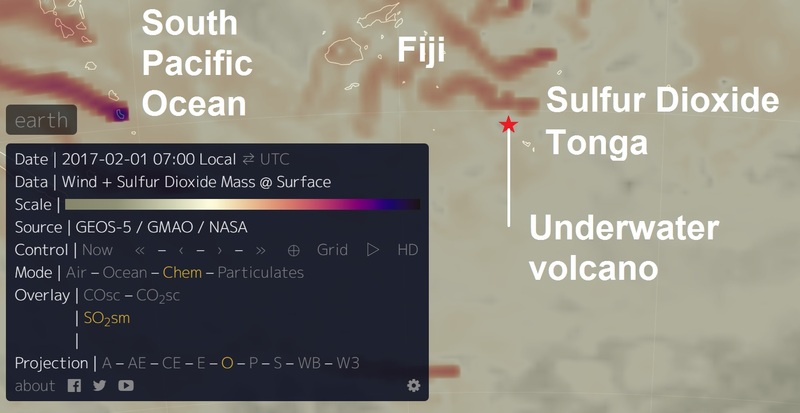 An underwater volcano situated near Tonga named "Submarine Volcano III" has been erupting for over a week, according to a GNS scientist and Nasa images. On January 31, a plume was seen emanating from a "submarine volcano" by University of Auckland geographers. It is situated about 46km northwest of Tonga's capital, Nuku'alofa. Satellite images taken from the Tongan area proved the underwater eruption is underway - and still going. According to a blog post by GNS volcanologist Brad Scott, satellite images obtained from Nasa show volcanic activity on January 23 - indicating that the eruption has continued for over a week. Volcanologists based in Tonga suggest that steam plume visible above water may be present, but cannot be confirmed due to cloud in the area. In his post, Scott cautioned that "submarine eruptions can be a hazard to shipping". Previous undersea eruptions in the area have sent cloud and smoke up to 20km into the earth's atmosphere. This is far from the the first time the Tongan region has been struck by an underwater volcano. The phenomenon has been detected in the area frequently since 1911, with the particularly large eruptions creating short-lived islands.